Koi Watercolor Field Sketch Kits and Gelly Roll Classic White pens featured on Oh So Beautiful Paper creating these vibrant custom rainbow place cards and table numbers. Curious about the origins of the famous Gelly Roll Pen? Bustle features "A Complete Written History Of The Origins Of Gelly Roll Pens That Ruled The ‘90s". Learn more over on Bustle. 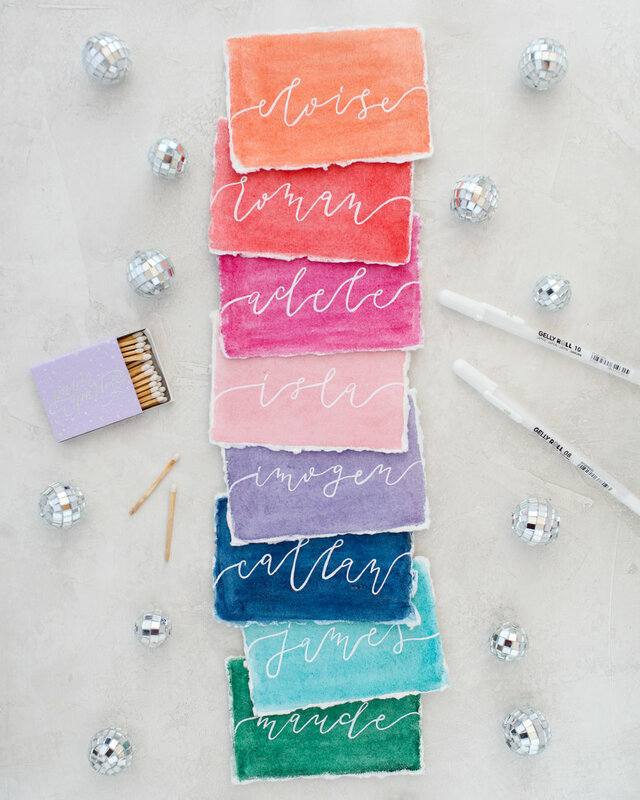 Gelly Roll Stardust is featured on Stationery Trends Fresh Picks! 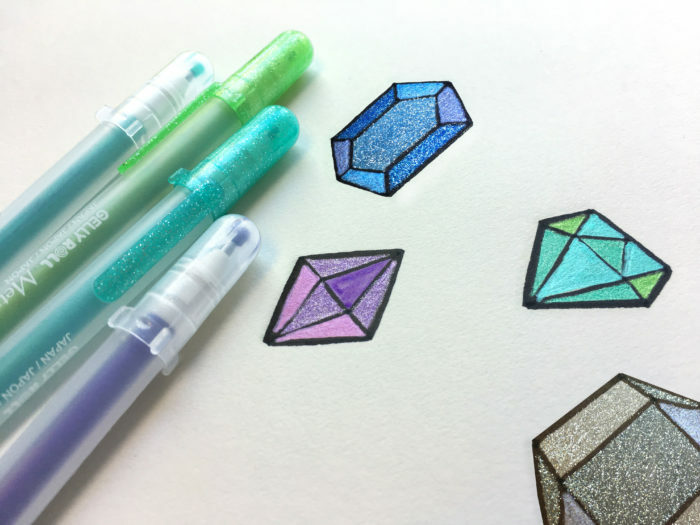 Try these smooth and glittery pens out to spruce up your holiday cards and envelopes. 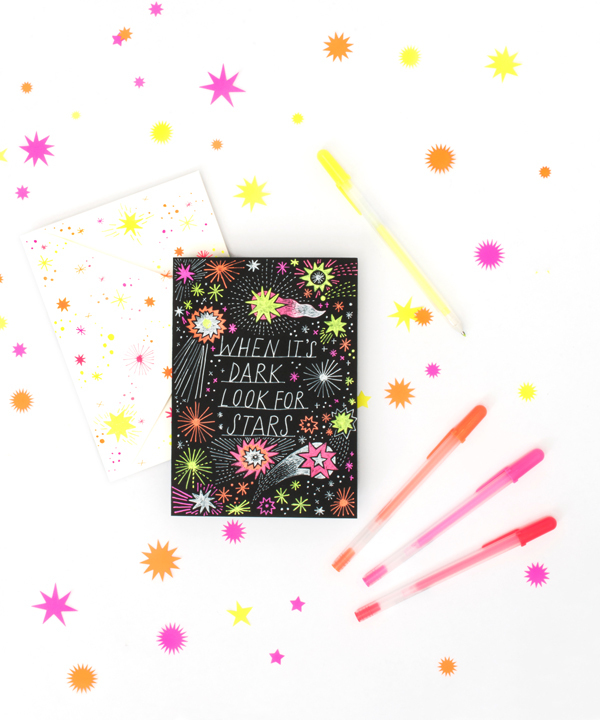 Hello!Lucky Stationery's newest book, Happy Mail, is here! All about snail mail and tapping into your creative side, the book includes 40+ tear-out cards, creative hand-lettered projects and much more. Great for teens and tweens! Here's one of Oh Happy Day's favorite projects from the book that includes bright Gelly Roll pens: Quote Notes! Check out the full instructions on their blog and to see how you can win your own copy of Happy Mail! NEW! Gelly Roll White Now in Fine and Bold! Sakura has perfected the smooth ink flow technology of Gelly Roll® Classic™ White to now offer our most popular color in three nib sizes: 05 Fine, 08 Medium, and 10 Bold. The opaque white ink stands out on dark and colored papers and makes highlights pop in illustrations and comics. Use it for handlettering accents, party crafts, layered on top of colors for mixed media and bright highlights in tonal drawings. Elevate your art to another level using the range of thick and thin lines, small detail and unique bold marks.